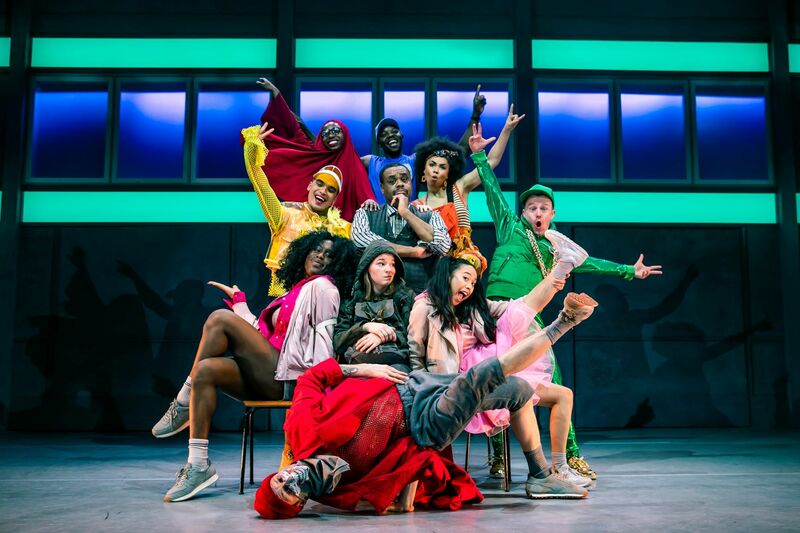 It looks brilliant and what’s even more special is that all performances of In The Willows will be performed in British Sign Language – and the show stars deaf street dancer Chris Fonseca (The Greatest Dancer). After having meningitis from a very young age, Chris was made completely deaf in both ears. 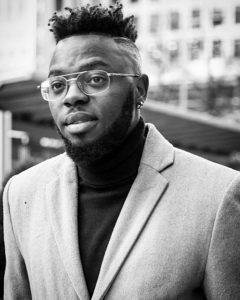 He’s gone on to become a successful deaf dancer and choreographer, and teaches dance workshops for members of the deaf community. Tell us about In The Willows and the role you play in the show? 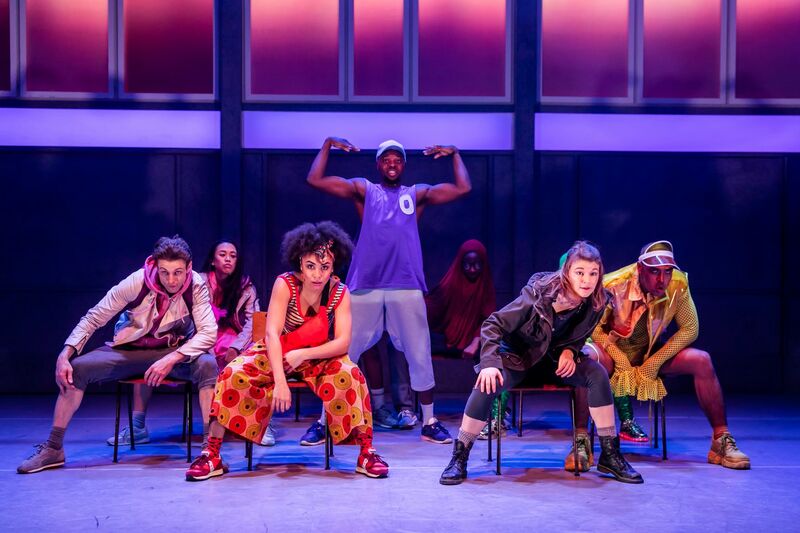 I play Otter, who is a very cool and humble guy, as well as an excellent street dancer! Otter and his girlfriend Rattie (the most popular girl at school), help new-girl Mole learn the ways of the Riverbank. Otter is a great influence who likes to look after his friends. He’s also deaf and proud to be! How have you found the rehearsal process? What an experience it’s been. It’s a steep learning curve for me and my debut in musical theatre, especially having to learn scripts line by line, act, sing and dance with the lovely Willows squad! You’ve just spent several weeks featuring in BBC One’s The Greatest Dancer. How did you find the experience? I remember I was nervous when my name was first called before the start of my audition. It was a once in a lifetime opportunity for me: a moment where I can give my all, to shine my light hard and show what I can do to represent for myself, the deaf dance community and deaf community, whilst on a popular TV platform. The support I’ve received is overwhelming, and beyond amazing. Unfortunately, I’m gutted to say that I didn’t make the callback but I’ll keep going, keep moving forward and continue dancing, because breaking barriers are part of my DNA, by doing what I love! Can you tell us a little about your process as a deaf dancer? Every person’s deafness levels are varied, and they have a different way of accessing music. For me, I wear a cochlear implant on my left ear and as soon the music plays, the sound and the beats spread the rhythm slowly around my body, so I can feel the beat and be part of the music. When I receive the rhythm, it goes to my brain which works out the structure of beats and I understand how the music plays before making any movements. To get into character, it requires a lot of patience, reading and studying how the beats work lyrically before choreographing. I also often use a subpak when choreographing to a song, to help me find the hidden beats and to emphasise how choreography works, both lyrically and with the beats together. What it is like to work in a show where British Sign Language is incorporated in to the choreography? The big challenge is being a deaf dancer amongst a hearing company. However, it’s been fantastic to watch how fast the rest of the cast have picked up BSL, and learnt to incorporate it into the dances. It’s also been a challenge highlighting the deaf awareness and showing that British Sign Language is not only for communication, but it can also apply to the arts in a creative way too. What can audiences expect from In The Willows? 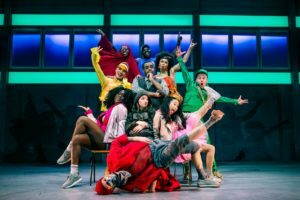 An amazing show with diversity and inclusion, a beautiful design, awesome choreography and a great children’s story – a modern, urban version of The Wind in the Willows. In the Willows is running at the Oxford Playhouse on Tuesday 9th and Wednesday 10th April 2019 at 2pm and 7pm. Tickets £10-£22. For more info or to book tickets, go here. With ballads, beats, and backflips, this classic story is brought leaping into the 21st century in this fresh new musical for all the family. All performances of In The Willows will be performed in British Sign Language.